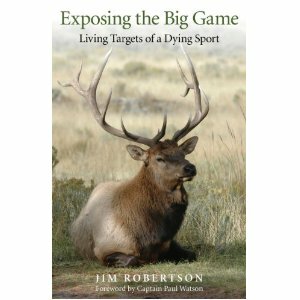 Today, OHH reviewer Katie Gillespie gives us her take on Exposing the Big Game by Jim Robertson. Toward the end of the review, we ask for your feedback on effective advocacy. We look forward to reading your responses! Did you know that bison engage in communal care of their young, that they are vegetarian, and that they are absolutely essential to the health of the ecosystem around them? Did you know that prairie dogs greet one another by kissing, that they build complex, underground, interconnected dwellings, and that they learn and invent words to add to their already complex language? Or that coyotes partner for life, that they parent together, and that their modes of communication are rich, varied, and cross species barriers? Tragically, bison have been driven to near extinction by hunting. Prairie dog populations have been all but erased by hunters for target practice. Coyotes have been vilified, trapped, poisoned and shot in overwhelming excess. Jim Robertson, in Exposing the Big Game: Living Targets of a Dying Sport [Earth Books, 2012], weaves a beautiful and heartbreaking story of animals living in the wild by using his many years spent observing animals as a wildlife photographer and nature writer. He tells us who the animals are, how they live, how they partner and raise their young, and how they are killed in overwhelming numbers by humans hunting for sport. Focusing on specific species—bison, coyotes, wolves, ravens, prairie dogs, bears, and elk—Robertson traces the historical trajectory of how some have been all but wiped out by hunting. But he also tells how other species, like the coyote and raven, have managed to adapt to the threat posed by humans and have expanded their habitat to survive. Despite the fact that hunting is less popular than it has ever been, there is still a thriving industry in the United States that poses a threat not only to individual animals and their families, but to whole species as well. I particularly appreciated Robertson’s explanation of the politics relating to hunting. At the level of state and federal government, hunting for sport is protected by Democrats and Republicans alike. Animals, like wolves, protected under the Endangered Species Act, are kept from harm only until their populations recuperate enough to be removed from the list, at which point they are hunted to near extinction again. This legal mechanism that safeguards animals in the wild just enough to prevent extinction is a glaring indication of the U.S. federal government’s stance on nonhuman animals—that they are, first and foremost, property and resources to be used for the benefit of humans. This government stance on hunting is probably not particularly surprising. What is more shocking, however, is Robertson’s description of how the Sierra Club regularly comes out in support of hunting, arguing that hunting brings one closer to nature. In a move that would have the Sierra Club’s founder, John Muir, turning in his grave, the organization held a contest that asked participants to explain “Why I Hunt.” The prize for winning the contest was an all-expense-paid trip to Alaska for a ‘big game hunt.’ Reporting these kinds of truths, Robertson candidly reveals the contradictions of wildlife policy in the United States and the difficulty in making change when those in leadership roles are concerned with protecting their own interest in hunting. Unfortunately, in spite of the wealth of information that this book provides, it runs the risk of being limited in its audience. In his introductory remarks, “Who Should Read Exposing the Big Game?” Robertson writes that the book is intended for hunters, non-hunters and anti-hunters alike. And yet, after reading his introduction, as well as the Foreword by Paul Watson, even I, a longtime anti-hunter, was ready to set the book aside. Within the first ten pages, Robertson and Watson managed to call hunters ‘ignorant, sadistic, heartless, impotent, perverts.’ I was troubled by this kind of aggressive tone taken up at the beginning. I would be surprised if a hunter read past the first two pages. While I am deeply committed to taking a firm, radical stance against any and all kinds of animal exploitation, and I greatly admire the important work of both Jim Robertson and Paul Watson, I also believe that we should think carefully as animal advocates about what will open up the conversation rather than shut it down. I worry that this name-calling approach could limit the reach of the conversation and further polarize any debate over hunting. This is particularly unfortunate because the rest of the book contains a sensitivity to who these animals are, and what their lives are like, that would move most people—hunters and non-hunters alike—to rethink our relationship to animals in the wild. Coming from an anti-hunting perspective, I was outraged by the treatment of animals in the wild, and moved to think about what I could do to actively work to change hunting policy in the United States. In spite of my mixed feelings about its approach, I am sincerely grateful to have read this book and would highly recommend it to those who want an introduction to the ethics and politics of hunting. First and foremost, it is an accessible and compelling indictment of hunting for sport in the U.S. It will outrage you and move you to action. Interestingly, the book’s antagonistic approach also provides the reader with an important opportunity, i.e., it forces one to reflect on effective methods of advocacy for animals. If the aim is to reach folks who are already opposed to hunting and just need to have a fire lit under their behinds to do something about it, then this is a great read. But for hunters, who are steeped in a different kind of culture, a more nuanced approach might be needed. This leaves me with a few questions for readers of Our Hen House: What methods do you think are most effective for reaching those whose minds we’re trying to change about animals? What role does our own emotion and outrage play in our activism and advocacy? And in the specific case of hunting, how might we succeed in opening a conversation about hunting between hunters and anti-hunters that might invoke real change moving forward? This reminds me of Colleen Patrick Goudreau's Podcast about hunting. I believe her method is the best for dealing with hunters. She doesn't attack them about what they do. Instead she asks them politely why they do it and tries to find out from them what it means to them. Then she explains politely why she feels differently. The issue for many of them is that they have memories of hunting with family members. They disconnect from the actual death they're causing and instead only think about the family tradition of it. It is interesting in these cases to get under the surface and see they are trying to recapture something they did perhaps with their dad that passed away or something along those lines. Obviously there are better ways to try and reconnect with the memory of a loved one or have a day out where you do something to create memories. I think showing you can be level headed with them and have a real non-confrontational conversation is the best approach. Otherwise they turn themselves off. Why wouldn't they-they can turn themselves off from the reality of causing pain and death. They can certainly do the same with an aggressive conversation and activist. My husband's family has hunters in it. I met them before I knew this. The interesting thing is that they're very mellow. They aren't super manly or aggressive. It's just something they have always done because they had an elder in the family take them out to do it. Being confrontational or very rude would be like slapping the memory of the person that created those memories for them which they would not take kindly to. Of course then again some hunters do it to feel powerful and in control. Someone who feels that way about their life would most likely be quick to jump to confrontation right back if you dish it out and just argue (in my opinion). I think the best you can do is try to dig out of them why they do it, what it means to them, and then start a conversation on how they can achieve that without killing. If they're very religious then you can certainly talk about what dominion should mean-especially if they're bow hunters or participate in canned hunts. Good review and a very thoughtful comment from SaraMM. The Beet-Eating Heeb likes what the podcaster apparently recommended. In essence, the podcaster is saying we should ask questions and listen to the answers. Rather than launch into a diatribe, which is all too easy for The Beet-Eating Heeb and his fellow vegans to do, we would all be much better-served in our advocacy if we asked questions, listened, and showed real interest in the hunters and/or meat-eaters whom we encounter. I appreciate all you have to say and offer. I am reposting In hopes more minds are opened! I understand Defenders of Wildlife does not support any hunting..., is this correct? Thank you for all you do. 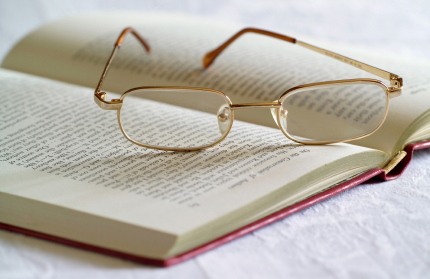 The absolute most valuable tool in advocacy is knowledge. This book and many others, offer the reader something more powerful than anything else, facts. Emotions often play a role in advocacy, when you're armed with facts that you can back up, those facts can't be argued. Emotions, like traditions and habits are easy to argue. Facts have a solid foundation that won’t be shaken. It's so important to remember it's not a debate, there is no "win" or "lose" there is only planting seeds. If you're knowledgeable, kind and confident, people listen. Even if they disagree, they hear you, maybe later they'll reflect on what was said. If you're polite the seeds you plant may grow into curiosity. If you keep the doors open to conversation, and do your best to impart your knowledge with a smile, I’m confident you’ll see changes occur. I know for certain I have. The two MOST important tools in advocacy are these: Knowledge and patience with a smile. This movement isn't going to change the world over night, and if you smile while you wait, people are more likely to hear (and want to listen to) what you have to say when you speak up. Having come from a poor, rural, Texas background and a family of hunters -- my Dad and all 8 of his brothers killed for food, mainly quail and pheasant, but there was an occasional deer. I was never asked to participate in hunting, nor did I ever have any desire to. Our families did not bag 'trophies' or have body parts displayed on walls in their homes. This would have been considered grotesque and an ostentatious display of arrogance and ego not befitting good Christian conduct. The mindset of people who believe killing is necessary to eat, is light years removed from those entrenched in the psychopathic, self-serving hubris of killing for the sheer thrill-laden, god-like power of watching the animation drain from the eyes of one's victims; then posing with their kill and carting the bodies home for display so that the ecstasy of murdering can be relived and enjoyed repeatedly. 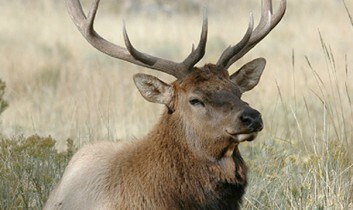 Sport hunting should be banned -- condemned and publicly demonized exactly like the acts of other serial killers. To believe that psychopaths have the ability to change through advocacy, gentle or otherwise (or to change at all) is naive and quite frankly, dangerous. These individuals are predators and the only language they understand is that which will force them to stop their killing, because they will NEVER do it voluntarily.